BANGLADESH. Kurigram District. 2010. 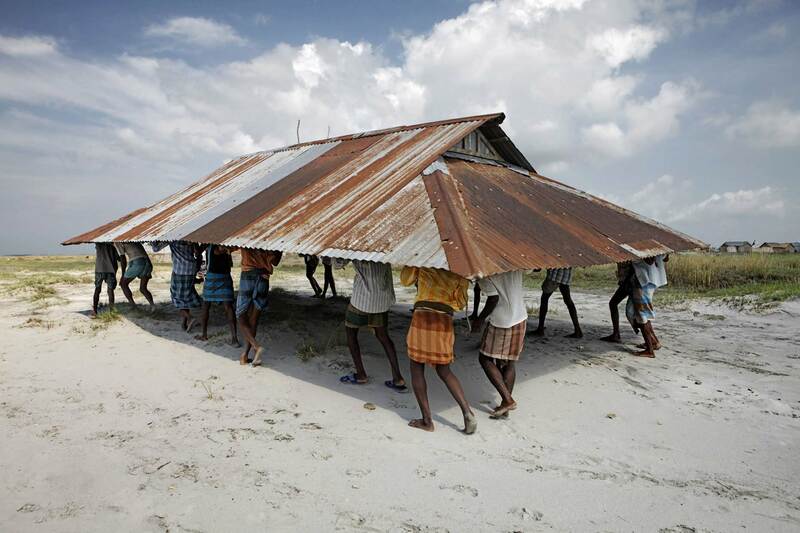 Men moving the community mosque that was threatened by river erosion. In this floodprone area, buildings are built to be able to be dismantled and moved in a single day.